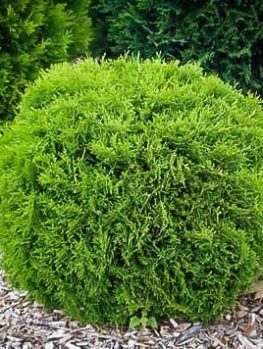 When it comes to size, the Danica Globe Thuja is just perfect for smaller gardens or smaller spaces. 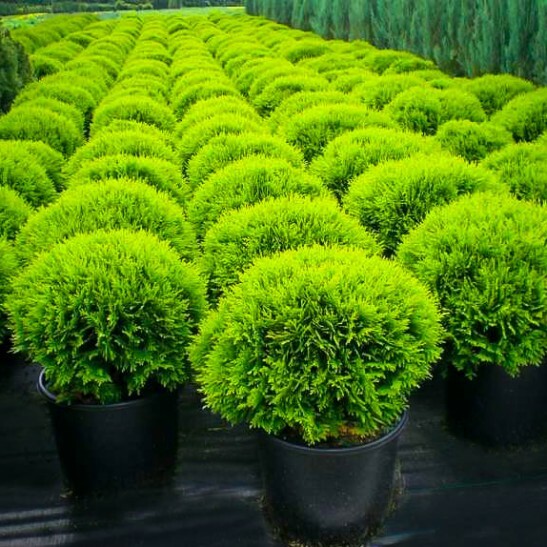 An all year round ball of rich green, this is the perfect plant to accent any planting, but especially in small gardens. 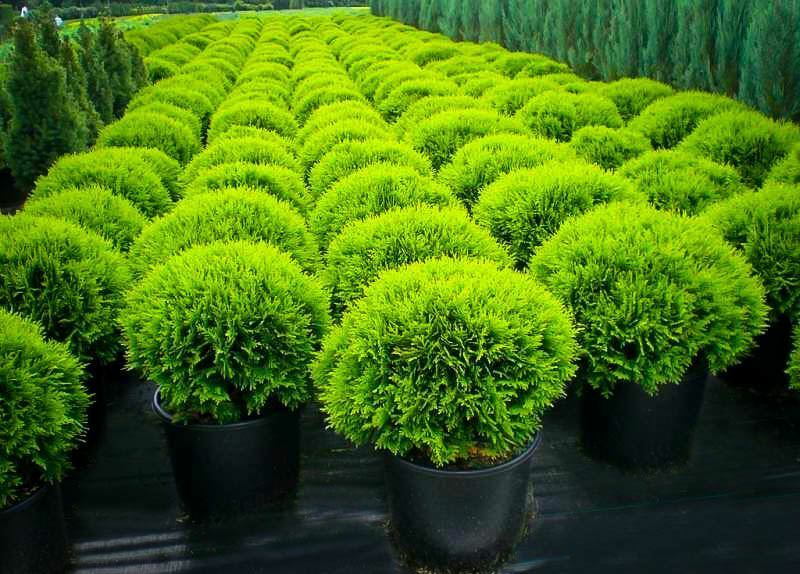 It doesn’t even need clipping to retain its perfect ball shape for ever and it is always in perfect scale with your planting scheme. Plant this beauty around your house as the perfect accent bush, or put a pair in containers to decorate your deck or balcony. Plant it in a row to edge a bed or driveway or in clumps among flowering shrubs. 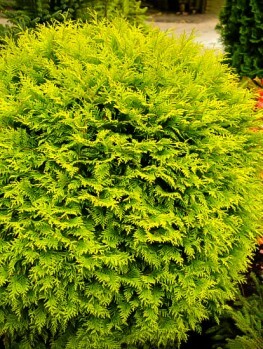 Even in partial-shade it will thrive and keep its rich green color. 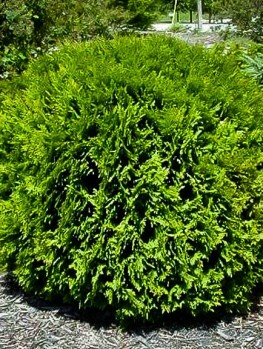 The growth is so dense you will never need to clip the Danica Globe Thuja to enjoy the symmetry of its form. Plant this awesome little beauty right away and sit back and enjoy. 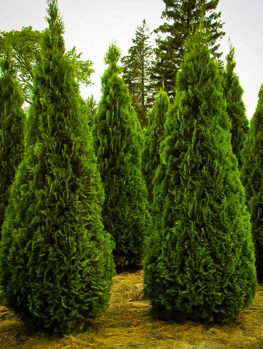 Evergreen trees have a lot to offer your garden. The most obvious is that they are visually attractive all year round – when everything else is dormant or bare in winter, evergreens still put on a brave show of living green. In a cold gray landscape they’re a splash of color that reminds you spring will come again. This enduring quality has made them an extremely popular addition to many gardens. However there are some constraints, the biggest being that evergreens are often fast-growing species that can reach a considerable size in just a few years. That’s not a problem if you have a lot of space to play with but in a suburban yard they can rapidly become overwhelming, or even a nuisance. On the other hand, there are still ways to get the benefits of evergreens in a compact package. 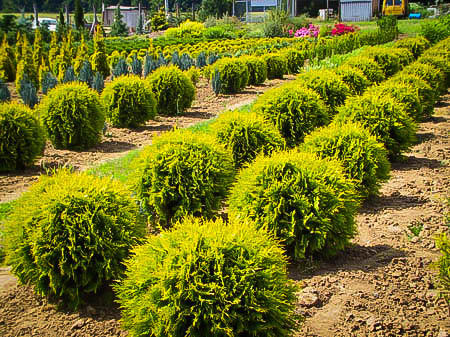 Dwarf varieties of many of the most popular are available, including the attractive white cedar Thuja occidentalis. Despite its common name it’s not actually a member of the cedar family, a fact which often causes confusion; it’s a cypress. 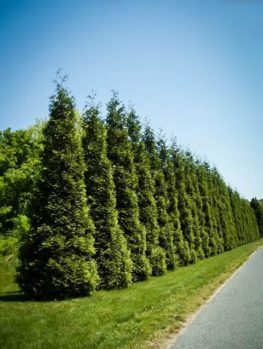 This tree is also frequently known as arborvitae – the tree of life – among North America gardeners because of its claimed medicinal properties, and it can grow to over 60 feet high. The miniature Danica cultivar, however, reaches only two feet when mature. That means it can be fitted in anywhere, and despite its diminutive size it’s a great addition to your garden. 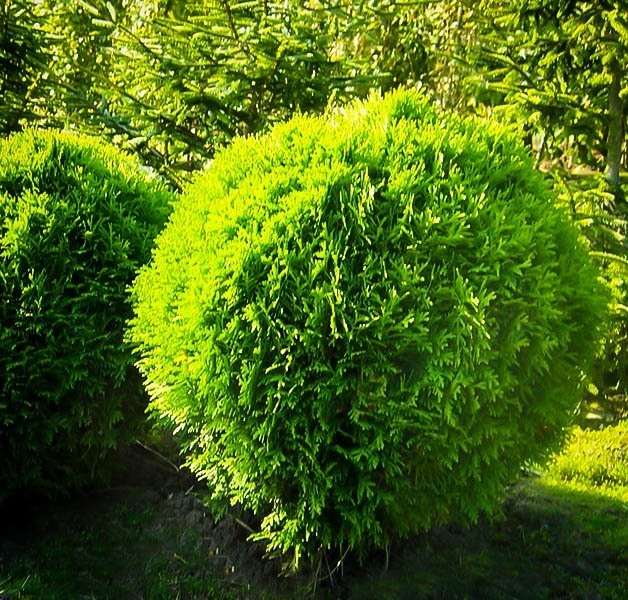 Danica is a small evergreen shrub that grows into a mounded shape. Its woody stem and branches are covered in rough, red-brown bark, which may flake off in older specimens. The branches put out flattened sprays of scale-like foliage, containing tiny leaves less than a quarter inch long, that ranges in color from yellow-green to green. In winter it will subtly change shade and become more bluish, returning to its normal hue in spring. These sprays produce a fresh, pleasant scent that can be noticeable even outdoors and will certainly be apparent if you have Danica inside in a container. It’s far nicer and less harmful than using a chemical-laden air freshener. The plant does not flower, but does produce small green cones. A Danica shrub might be small, but it’s tough. It can survive in USDA plant hardiness zones 2 to 7, making it suitable for anywhere in the continental USA outside the drier southern areas. Even a New England winter won’t be too much for this rugged little plant. It’s also quite tolerant of soil types, as long as the ground isn’t dry, but it does have preferences – for best results plant it in a moist, well-drained loam that’s neutral or slightly alkaline. One fact worth pointing out is that this species is highly tolerant of wet ground, so if your garden does have a poorly drained corner that other plants find inhospitable then Danica will probably manage to thrive there. 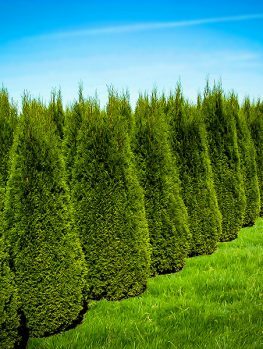 In the wild arborvitae is the main tree found in coniferous swamps, because it can prosper in wetter ground than most of its usual competitors. That’s a trait you can take advantage of in your garden. When selecting a location to plant your Danica, look for somewhere that offers some shade in the afternoons, especially if you have hot summer weather. It will tolerate full sunlight but will be happier with partial shade. Of course one advantage of its size is you can easily plant it in a container and move it to a more sheltered location at the height of summer. Danica doesn’t need a lot of care, beyond ensuring it has enough water. Leaf blight is an occasional problem and it may be visited by scale or spider mites, but in general it’s not much bothered by disease or pests. Some attention can be useful in winter though. Cold conditions won’t do much harm, beyond occasional winter burns to the tips of the foliage, but accumulated snow and ice can break its branches or even the stem. If partly broken branches droop to the ground they may take root there (this can also happen to healthy branches if they touch the ground). To avoid snow damage a burlap shelter can be a good idea. Because Danica grows very slowly – it can take 20 years to reach two feet high – it rarely (if ever) requires pruning. If you’re interested in ornamental effects, however, you might be interested to know that it can handle a lot of pruning if you’re inclined to do it. This means it can easily be shaped for decorative purposes, and is very suitable for use as a low hedge. There are few limits to the shaping you can do with some imagination. Overall this is a small but attractive shrub with a lot of potential uses in your garden, and it’s a particularly good choice if you have cold winters; not only will it survive them, it will maintain a touch of brightness through the darkest part of the year, Danica is a deservedly popular plant and unless you live in a dry area there’s almost certainly a spot for at least one in your garden. If you would like to learn more about this shrub, or have any questions, don’t hesitate to give us a call at 1-888-329-0140 and our staff is happy to help!